The first thing in automating your infrastructure is knowing what you have. 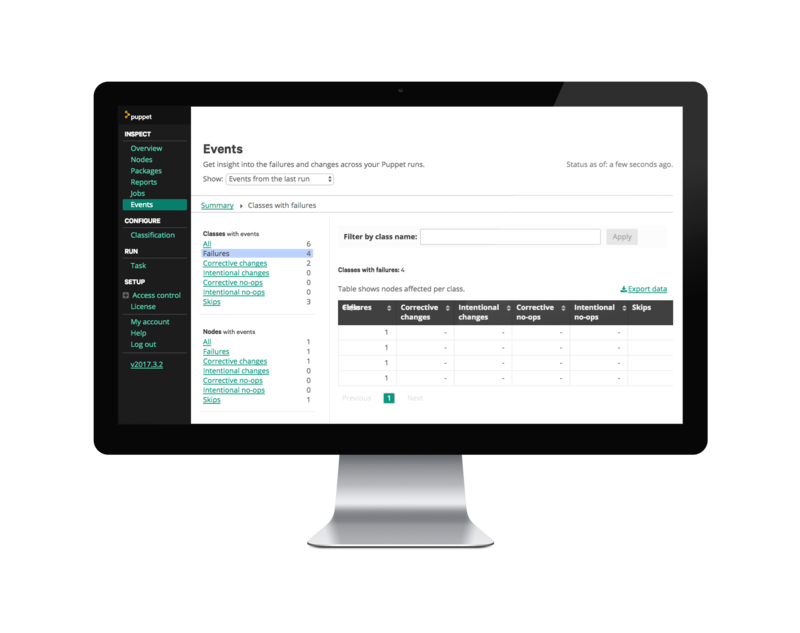 Puppet Discovery shows you everything that’s running across your on-premises and cloud infrastructure, and even what’s in your containers, and lets you take action to bring it all under management. 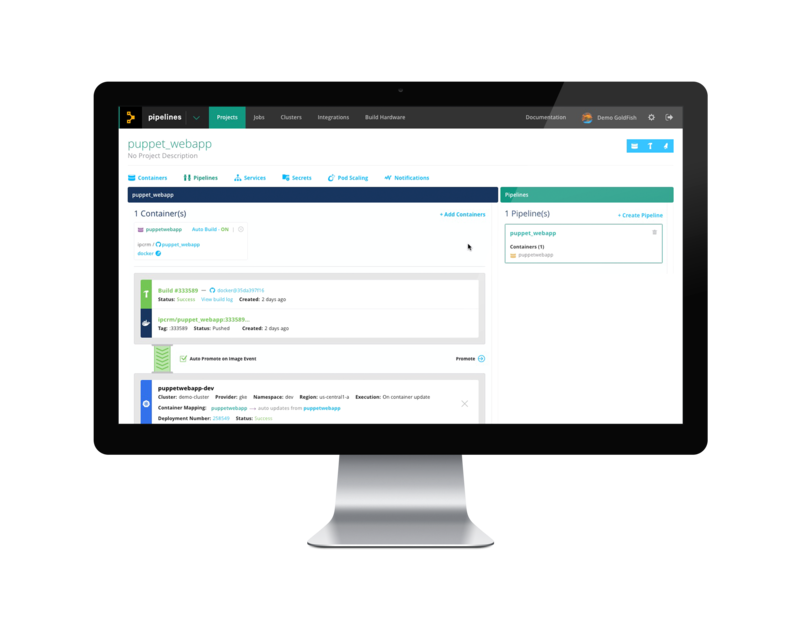 Puppet Enterprise helps you improve organizational productivity, go-to-market agility and collaboration across your teams while reducing tool proliferation. 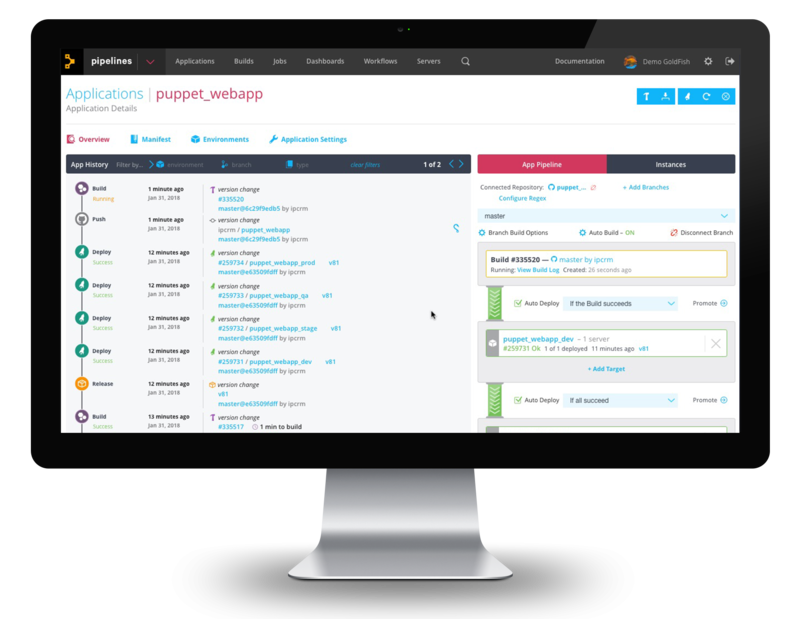 Puppet delivers a user-friendly, unified platform that combines a model-driven approach with imperative task execution so you can effectively manage hybrid infrastructure across its entire lifecycle. Puppet Pipelines makes continuous delivery easy by meeting you where you are. 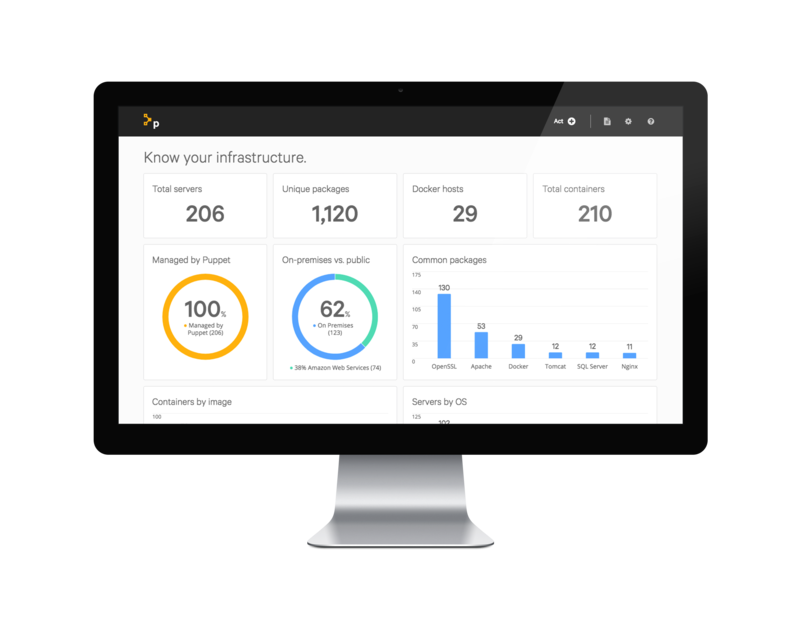 It automates the way you build and deploy applications and containers running on any cloud and on prem.